Book cover description: Here is the only complete, illustrated history of The Walt Disney Company in an affordable paperback edition. It has been thoughtfully condensed from the hardcover edition, which has sold more than 500,000 copies. The Art of Walt Disney tells the remarkable story of Walt Disney and the company he built. Disney transformed the humble black-and-white animated cartoon into a new art form, inventing remarkably durable characters beginning with Mickey Mouse, adding sound and then color, and then making a daring leap to feature films. His creations, including the theme parks that he pioneered, blossomed into the great entertainment company that still bears his name. This profusely illustrated volume with a lively and authoritative text by Christopher Finch covers every important animation project, from Mickey's 1928 debut in Steamboat Willie to Fantasia 2000; live-action movies and The Lion King on Broadway; and theme parks around the world, including such recent additions to Disney's Animal Kingdom. 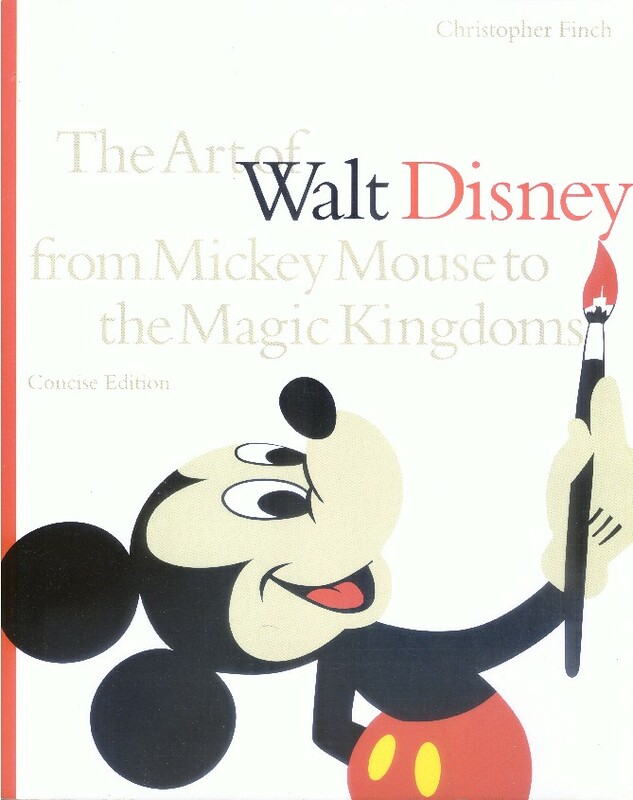 The concise edition of The Art of Walt Disney offers a marvelous introduction to Walt Disney - the man and his legacy. GMD mention: Part 6 New Beginnings on pages 91-92, one colored photo.